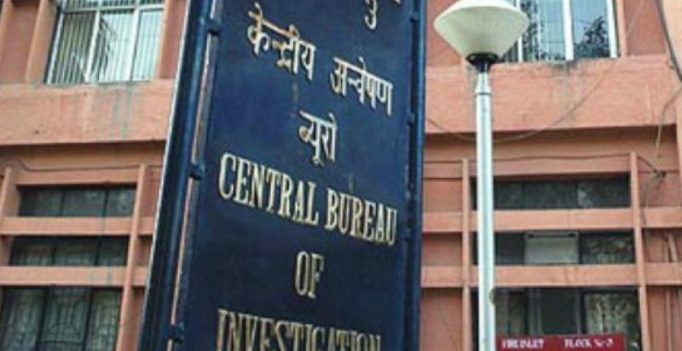 New Delhi: The Central Bureau of Investigation (CBI) has arrested a superintendent of the GST Council for allegedly receiving bribe through his conduit for purported favours extended to some businessmen during his earlier stint in the Central Excise. Monish Malhotra, the superintendent, and Manas Patra, the alleged middleman, were arrested by the CBI last evening, an official said. During searches, the CBI has recovered Rs 7 lakh in cash from the premises of Malhotra. This could be the first instance of a GST Council official being arrested by the central investigation agency. It was alleged that Malhotra, who was earlier posted in the Central Excise, had been indulging in corrupt practices of extending undue favours to private parties by not taking action against them in return for periodic bribes. Patra, on the instruction of Malhotra, had collected money from many private persons during his stint as a superintendent in the Central Excise, it was alleged. The agency came to know that Patra was allegedly establishing contact with the parties on Malhotra’s behalf and collecting bribes on quarterly or monthly basis. Patra had deposited these funds in his own account to camouflage the bribe and later transferred the money to an HDFC Bank account of Malhotra’s wife Shobhna and his daughter Aiyushi’s account in ICICI Bank, the CBI FIR alleged. Finance Ministry officials said Malhotra was managing correspondence from various stakeholders in the GST Council and was not in a position to deal with the public. They said the money he was allegedly collecting was for the period when he was in the Central Excise. The agency had received input that Patra was scheduled to deliver collections of the “last few days” at the residence of Malhotra yesterday, along with the paper containing details of receipt of bribes, a CBI official said. On getting the input, a CBI team searched the premises and arrested Malhotra and Patra, he said.